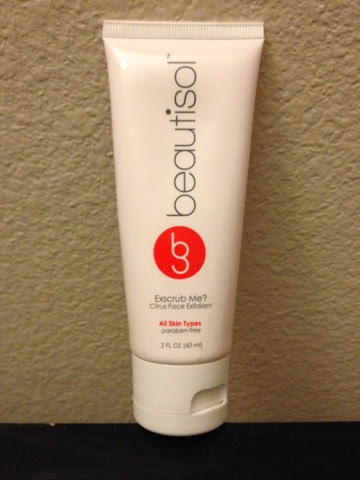 Beauty & All That: Exfoliate with Beautisol's Exscrub Me? As part of the #iFabbo blogger network, I got to try out an amazing new product from Beautisol- the Excrub Me? citrus facial exfoliant. Sloughing away dead skin cells is essential to get your skin looking and feeling healthy. It's also the first step in achieving a nice, glowing tan (natural or with some help!) For me, any product's scent is important because I want to make sure they smell great. Any fruity scent is already a fave so I was glad to see that it included Tangerine, Lemon and Orange oils. My skin felt fresh and revived after using this and now that my dead skins are sloughed away, it's perfect for any treatment after.